This is another fascinating book on one of South Africa’s most famous ships SATS General Botha ex HMS Thames and is effectively a ‘companion’ to his earlier book (also published by the NHT) No Reward for Duty. This book covers the story of the ship in its various configurations from her start in life as HMS Thames in the late 19th Century as a Cruiser of the Mersey Class in the British Royal Navy. In the First World War she was converted into a Submarine Depot Ship and served as such until the end of that war. Then after sailing to South Africa she became SATS General Botha in 1922 in which capacity she became well-known and admired in the world-wide maritime community as South Africa’s first, and so far only, training ship. In 1947 having been very neglected during her war service in Simon’s Town she was sunk in False Bay by the 9.2-inch coast artillery guns of Scala Battery. This fascinating book addresses, in considerable detail, the history of the South African Training Ship (SATS) General Botha and her various configurations from 1884 until 1947. 1931 and practised ever since. 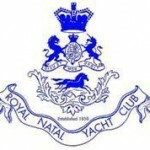 SATS General Botha’s purpose was to train young men as Officers, primarily for the South African and British Merchant Services, although many Cadets also joined the British Royal Navy and the South African Navy and its predecessors, (the South African Naval Service [SANS], the Seaward Defence Force [SDF] and the South African Naval Forces [SANF]). This meticulously researched account is not a detailed chronicle of life on board, or one focussing on the training provided to Cadets who served in her whilst under training. Whilst these aspects are referred to in order to provide some context, the primary focus of the book is the history of the vessel and its changing configuration (and purpose) over time. Inevitably, the names of those who played a role in her use and in determining her fate form an interesting and integral part of the narrative. The book is divided into two distinct parts and to quote the author: “I like to think of the first part as a ‘Biography’ of the ship covering its life from birth, through its youth, middle age, old age and telling of its subsequent, inevitable death. The second part is an ‘Anatomy’ covering the ship’s physical appearance and abilities from its youth as an active, powerful Cruiser, to its middle age as a mature Depot Ship supporting other active ships, to its old age. When it could no longer achieve its original designated tasks and duties she became a teacher of youth and then simply a repository for stores and equipment, incapable of a more active role”. Captain Manning, a proud product of the South African Nautical College (SANC) General Botha (Cadet No. 1956 of the 1955-1956 term), has thoroughly researched the history of this vessel and recorded it in a fascinating, detailed and very readable manner. The book contains numerous helpful, amplifying footnotes and fascinating photographs, and as one would expect of a book of this nature, there is a very detailed bibliography and a comprehensive index. In addition, there are Appendices that add detailed complementary amplification to the body of the narrative. Whilst this book will certainly be of interest to former “Bothie Boys”, it will serve as an important reference source to those conducting research, or those interested in matters maritime. It is also a fascinating story for those who just want to sit back and enjoy a good read. I recommend unreservedly that you read it! This book, the result of years of dedicated research, presents the fascinating history of the South African Training Ship General Botha, which began on a slipway in Pembroke Dockyard in Wales, on 14 April 1884, and ended with the ship being sunk by coast gunfire in False Bay some sixty three years later. The ship started her life as the protected cruiser HMS Thames, outdated almost from the day she was completed and was converted to provide a floating base for the submarines which were to be a major force in the 1914-1918 War. Laid up after the Armistice, she was purchased in 1920 by a Channel Islands born South African benefactor in memory of his son who was killed during World War I. The ship steamed out to the Cape to spend some twenty years moored in Simon’s Bay, offering a two year maritime orientated educational course leading to matriculation. The threat of Japanese air attacks on Simon’s Town caused the ship to be evacuated in 1942 and she reverted to her original name Thames as a floating store and accommodation ship before being sunk by gunfire out in False Bay in 1947. The author, Captain Ian Manning SA Navy (Retired), has spent many years researching the history and configuration of the ship in order to compile this definitive book. The task involved consulting many documents and interviewing several “Old Boys” to obtain their personal reminiscences and information on the routines, configuration and colour scheme of the ship. The time was well spent and Captain Manning’s opus is worthy of a place in anybody’s library of maritime and historical books.